Director Scott Derrickson seems to be doing some research for his upcoming Marvel Studios film, Doctor Strange. Derrickson posted to his Twitter account a panel featuring Doctor Strange in deep meditation. 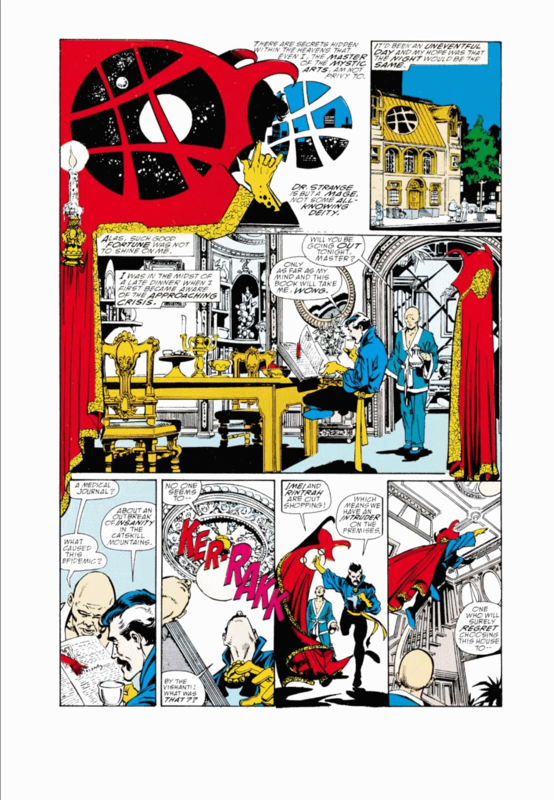 The panel is drawn by George Perez and come from the pages of Infinity Gauntlet #1. It seems early, but could Derrickson be looking for ways to tie Strange into Marvel Studios’ larger plans for Thanos and his favorite all-powerful, cosmic handwear. 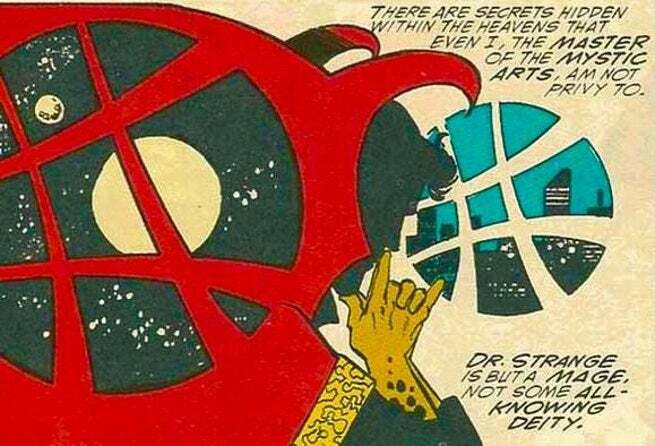 It would explain why he’s reading Infinity Gauntlet specifically instead of actual Doctor Strange comics. Or maybe Derrickson is just looking at the page for visual inspiration, because Perez pretty much nails the visual storytelling in that panel, and really the whole page. Doctor Strange is set for release on July 8, 2016.